In the South China Sea, sea fog brings severe disasters every year, but forecasters have yet to implement an effective sea-fog forecast. To address this issue, we test a liquid-water-content-only (LWC-only) operational sea-fog prediction method based on a regional mesoscale numerical model with a horizontal resolution of about 3 km, the Global and Regional Assimilation and Prediction System (GRAPES), hereafter GRAPES-3km. GRAPES-3km models the LWC over the sea, from which we infer the visibility that is then used to identify fog. We test the GRAPES-3km here against measurements in 2016 and 2017 from coastal-station observations, as well as from buoy data, data from the Integrated Observation Platform for Marine Meteorology, and retrieved fog and cloud patterns from Himawari-8 satellite data. For two cases that we examine in detail, the forecast region of sea fog overlaps well with the multi-observational data within 72 h. Considering forecasting for 0–24 h, GRAPES-3km has a 2-year-average equitable threat score (ETS) of 0.20 and a Heidke skill score (HSS) of 0.335, which is about 5.6% (ETS) and 6.4% (HSS) better than our previous method (GRAPES-MOS). Moreover, the stations near the particularly foggy region around the Leizhou Peninsula have relatively high forecast scores compared to other sea areas. 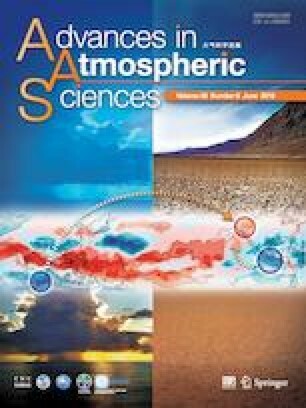 Overall, the results show that GRAPES-3km can roughly predict the formation, evolution, and dissipation of sea fog on the southern China coast. • An LWC-only operational sea-fog prediction method is tested on the southern China coast based on the GRAPES model. • The method has a 2-year-average ETS score of 0.20 and an HSS score of 0.335, which is better than previous methods. • The GRAPES model can roughly predict the formation, evolution, and dissipation of sea fog on the southern China coast. 中国南海的海雾每年都带来严重的灾害, 但是预报员还缺乏有效的海雾预报方法. 为了实现这个目标, 我们评估了基于GRAPES模式, 利用液态含水量直接预报海雾的方法(以下称为GRAPES-3km). GRAPES-3km直接模拟海上大气的液体含水量分布, 利用经验关系转换为能见度. 我们利用沿海台站, 浮标, 海洋气象综合观测平台和葵花-8卫星反演的雾和低云资料等, 对比评估了GRAPES-3km在2016和2017年的预报评分. 评估结果表明, 对于0-24h 预报, GRAPES-3km两年平均的公正风险评分(ETS)为0.20, 海德克技巧评分(HSS)为0.335, 大约比我们之前的GRAPES-MOS预报方法高5.6%(ETS)和6.4%(HSS). 而且, 在雷州半岛周围这一海雾的高发区域, 有着相对较高的预报评分. 总体评估结果表明, GRAPES-3km可以大致预报出华南沿海海雾的形成, 演变和消散过程. We thank the editor and two anonymous reviewers for their constructive suggestions and comments. Special thanks to the crew of the Marine Meteorological Science Experiment Base at Bohe, for their help in conducting the field program and providing the data. This study was supported jointly by the National Natural Science Foundation of China (Grant Nos. 41675021, 41605006 and 41675019), the Meteorological Sciences Research Project (Grant No. GRMC2017M04), and the Innovation Team of Forecasting Technology for Typhoon and Marine Meteorology of the Weather Bureau of Guangdong Province.